It's a pretty exciting time for fans of the newspace startups, and to show you what I mean here're three recent video clips. 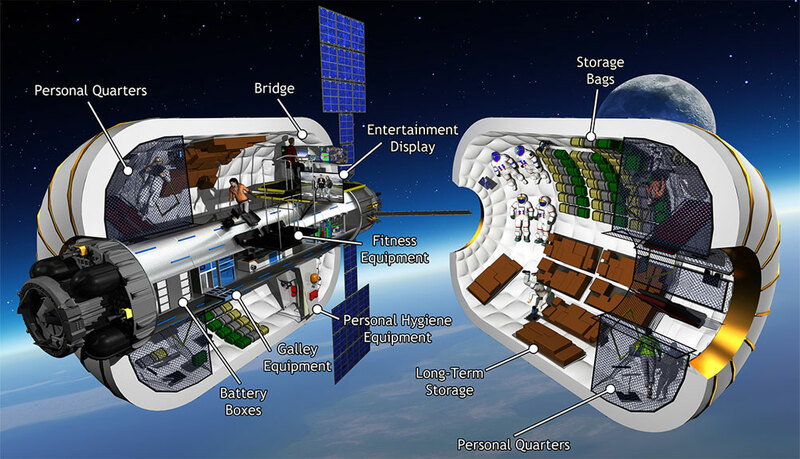 People are working - and succeeding - in bring down the cost of getting to space, and the cost of building in space... and now I can't wait to see what the future brings! Above: A graphic of Bigelow's proposed B330 space station. * Not literally like a tent, because I'm a Scout leader and know tents are often packed by shoving them brutally into backpacks and sitting on them, unless I stand there and make them do it properly. Ahem. I mean that the BEAM was folded up.